The first edition of Modern Custom Guns hit bookstores 16 years ago. 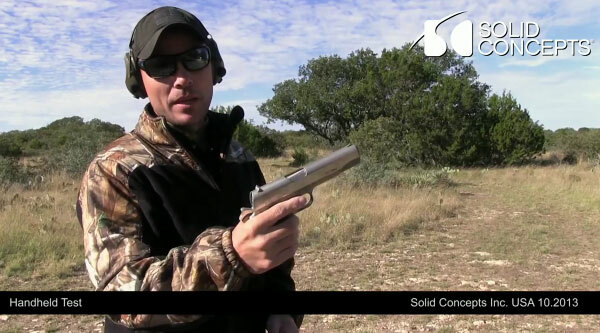 Next month Gun Digest will release the long-awaited Second Edition of Modern Custom Guns. This is a richly-illustrated, 8.2″x11″ hard-cover book, with approximately 200 color photos. Written by Tom Turpin and published by Gun Digest Books, this 208-page volume is now available for pre-order, with a December 11, 2013 release date. 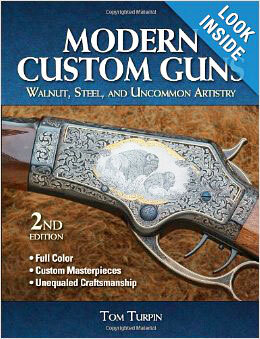 This 208-page Second Edition of Modern Custom Guns is not just a coffee-table book. In addition to the nice color photography, the book examines the processes and techniques used to craft ultra-high-end custom rifles. 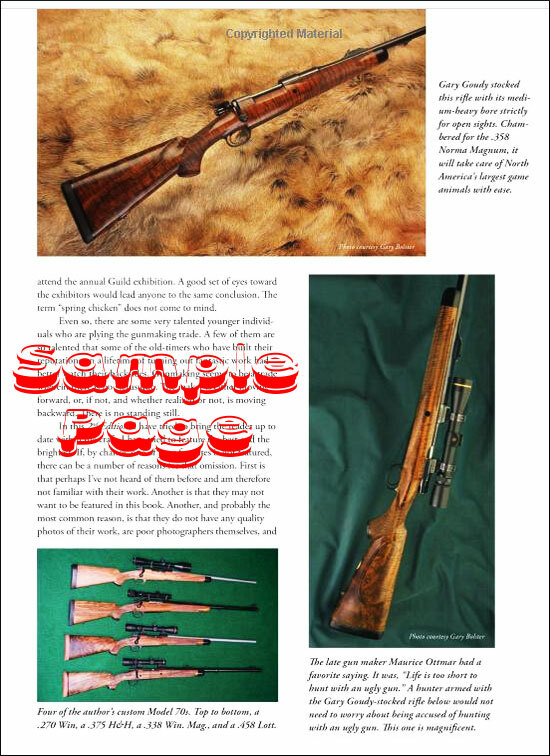 Author Turpin has interviewed many gifted rifle-makers and artisans who create showpiece rifles. Turpin explains how these craftsman work magic with wood and metal. Specific chapters are dedicated to: Stock-making, Metal-smithing, Actions, Barrels, Sights, Engraving/carving, and other topics. Chapter 10 spotlights two dozen master engravers, while Chapter 11 profiles 39 leading custom gun-builders. A helpful Appendix provides contact information for custom gun-makers and engravers. About the Author – Tom Turpin has been a professional writer in the outdoor industry for over 40 years. He has written several hundred published articles, four books, and he is presently a contributing editor to the Gun Digest Annual. 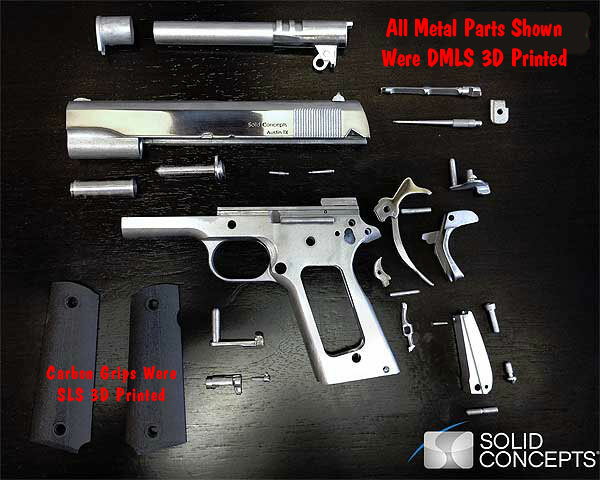 Share the post "Modern Custom Guns (2d. Edition) To Be Released in December"